The Billings Gazette went to bat over the weekend for a bill that would protect 30,000 acres of your public lands near Yellowstone from large-scale gold mines. Saturday's Gazette editorial noted that more than 350 area business owners and other local residents have fought for two years to protect their way of life from risky proposals from foreign-backed mining companies. And though Sen. Jon Tester (D-MT) introduced the Yellowstone Gateway Protection Act in April to do just that, it's going to take the full Montana congressional delegation to get this bill passed. The key public servant missing on this public land issue is Sen. Steve Daines, R-Mont. Daines’ support is crucial because he is chairing the Senate Subcommittee on National Parks, the panel that needs to hold a hearing and approve the Yellowstone Gateway Protection Act. No hearing on the gateway bill has been scheduled. It’s unclear exactly what Daines wants changed, but it sure sounds like he’s talking about extra-special protection for mining interests in an area that shouldn’t be mined. Tester’s bill contains the legal boiler-plate language for withdrawing federal minerals from hardrock mining development, nothing more. The bill, the Gazette noted, does protect private property rights. It also protects Montana constituents' jobs and property rights, like those of Karrie Kahle of the 350-plus-member Yellowstone Gateway Business Coalition, who was quoted in the editorial. And it protects the economic engine of the county, Park County Commissioner Steve Caldwell told the paper. The Gazette invited Sen. Daines to take the first step to get this bill passed. Daines’ stated concern is addressed in S.941. 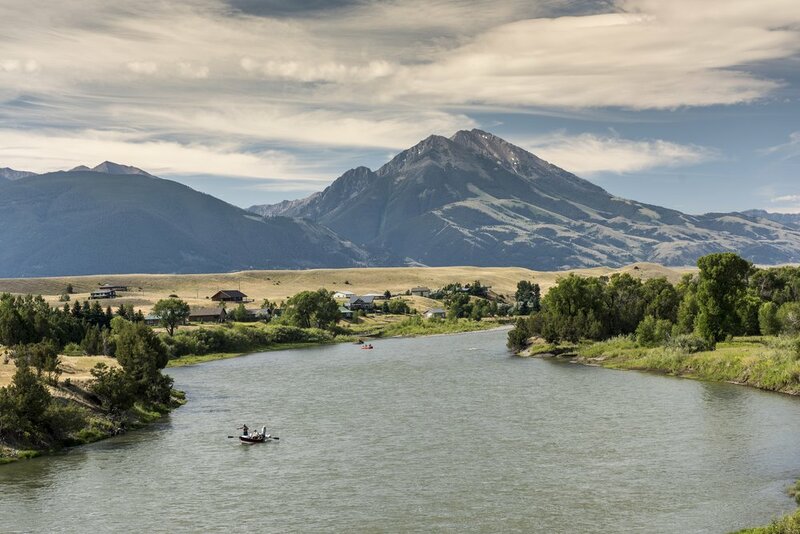 The senator from Bozeman should talk more with Tester, and join the rest of the delegation, park county’s local elected representatives and 360 area businesses in supporting the Yellowstone Gateway Protection Act. We call on Daines as subcommittee chairman to hold a hearing on this Montana legislation before Congress takes its five-week summer break in August. This bill should be a high priority for Daines because it’s a high priority for Montanans. Thank you, Billings Gazette, for supporting our friends in the Yellowstone Gateway Business Coalition. To learn more about how you can get involved, please click here. You can also join the Business Coalition, and help them tell our whole Montana delegation: Yellowstone is more valuable than gold! Older PostBear spray: It takes practice!